Housing at the Youth Services Bureau is much more than a place to live. We offer multiple services and housing programs to suit youth in a variety of life situations. We want to meet you wherever you are. Supporting youth towards a journey to independence, YSB’s services provide youth—aged 16 to 21 who have experienced significant difficulties through no fault of their own—an opportunity to access safe, affordable housing. Experienced counsellors provide support while youth pursue personal goals such as education, work and training. Housing counsellors offer assistance in developing a full “Community Plan” to acquire the necessary skills to live independently. YSB offers emergency shelter for youth seeking temporary housing. We also offer the Transitional Housing Program and the Long-Term Housing Program. Please contact each program or shelter directly for more information about each service. 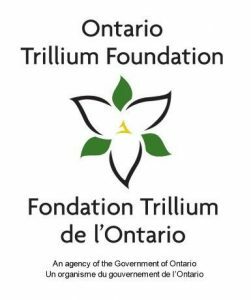 With support from the Ontario Trillium Foundation, we are implementing Housing First to help youth access and maintain housing, get involved in their communities and increase their economic resilience. Housing First is a “recovery oriented approach to ending homelessness that centers on quickly moving people experiencing homelessness into independent and permanent housing and then providing additional supports and services as needed” (Canadian Observatory on Homelessness, 2015). Housing First is a cost effective best practice that that is shown to rapidly end homelessness and optimize outcomes for homeless/insecurely housed people (Mental Health Commission of Canada, 2014). Building on the work of Stephen Gaetz, this project will monitor adaptations of Housing First for the youth context. Youth from diverse social identities, facing barriers to participation, will be key players in the co-design, implementation and co-evaluation of Housing First at YSB. Given the over representation of youth who are homeless and identify on the LGBTQ spectrum, this project with bring focused attention to their service needs.